The work of Yamauchi Kazuaki is so beautiful. Love the transparent quality of the inks and all the playful animals and people. 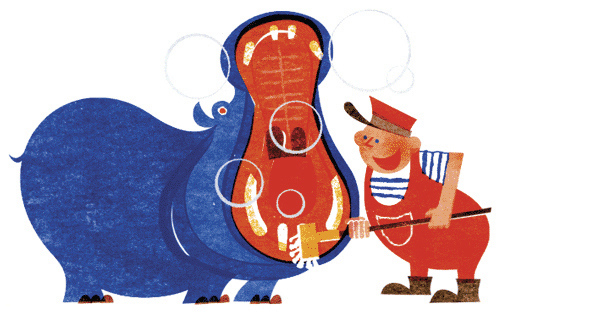 Look for the less playful but still beautiful illustrations at the bottom of the list of work in the portfolio. The children’s fish illustrations and the literal illustrations of fish are both beautiful in their own right and shows the flexibility in style of work. Kazuaki mostly illustrates childrens’ books in Japan and oh, how I wish I could get some translated into English.